I’ve worked in the social media space for the past several years, and I’m a professional user—and personal fan—of Sprout Social. As such, I was particularly interested to read the recently published Q3 2017 Sprout Social Index. The report, entitled “Call-Out Culture: People, Brands & the Social Media Power Struggle,” provides noteworthy statistics garnered from surveying more than 1,000 individuals. In addition, it describes online situations most of us have experienced first-hand, either as marketers or as consumers. This research highlights the social media customer service challenges that brands must address to be relevant, remain competitive, and earn loyalty. Sprout Social has long discussed how the rise of social media has democratized individual influence. Today’s consumers have more means than ever to hold a brand accountable for their products or services—and they are. Social gives everyone a very public platform to ask questions, share feedback, and relate experiences; a single post, whether positive or negative, can be viewed and distributed thousands of times before ever being addressed by the pertinent company. In other words: Answer every complaint, in every channel, every time. 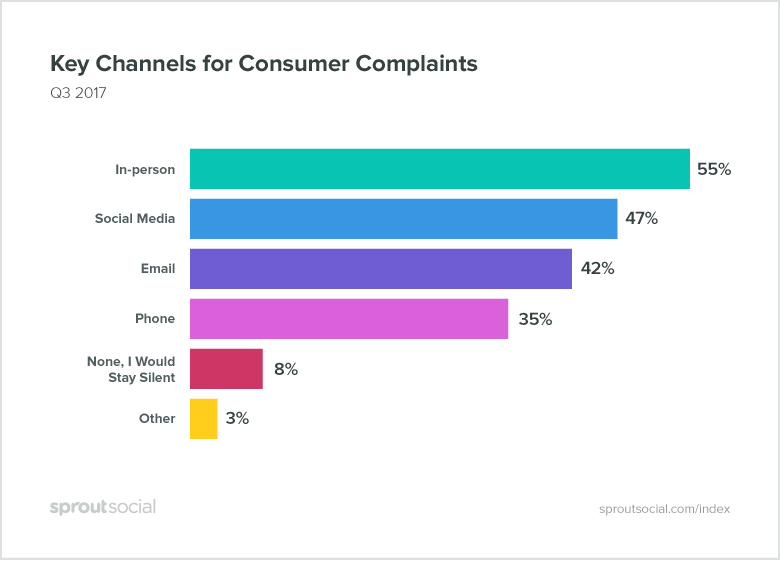 The Index shows consumers tend to complain first in person (55 percent), but social media (47 percent) and email (42 percent) are rapidly growing alternatives. Interestingly, only eight percent of those surveyed said they would not speak up at all about an issue. 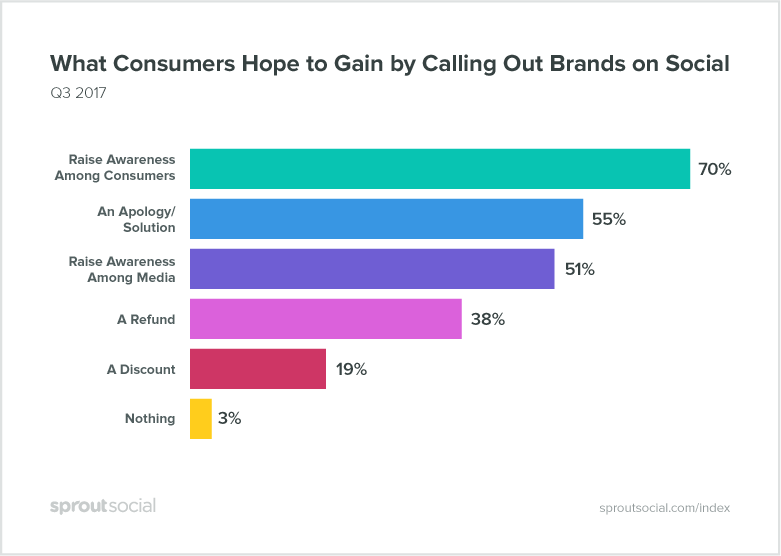 Sprout Social speculates that this low percentage reflects a new “era of engagement,” where consumers have become empowered to speak up and take a stand against brands. I would hypothesize further that these findings also reflect consumers’ increasing comfort with, as well as accessibility to, digital media channels in general. 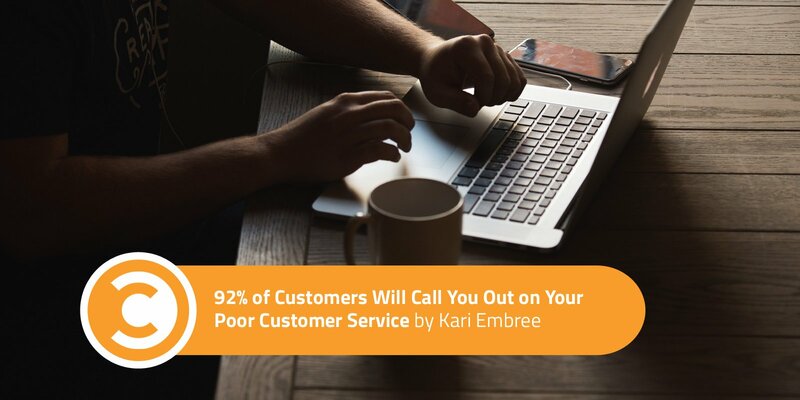 This insight is important because organizations can use it to strategically approach customer service. By internalizing the importance of social listening and bolstering their teams accordingly through staffing and training, brands better position themselves to swiftly—and effectively—address issues when they arise. In their report, Sprout Social recommends that companies understand and identify potential triggers as well as the motivations behind customer complaints. It makes good sense. After all, the best complaint is the one that never has to be delivered. So why do consumers call out brands on social media? Here’s what the research found. While these are clearly valid reasons for a customer to complain, there’s more to it than that. Psychology Today identifies three types of complaining: the “chronic” complainer who can never be satisfied, the ”venter” who primarily wants to solicit sympathy, and the “instrumental” complainer who actually wants to have problems solved. Sprout Social’s research supports this, mostly among the venting and instrumental complainers, or some combination of both. I’ll admit I’ve had the occasional experience that incensed me to post a harsh word on social media, and I would bet you a cold beverage of your choice that you have, too. (Though hopefully, we’re thoughtful social community members who praise much more than rage.) But whatever the initial motivation for calling out a brand, it’s how the outreach gets handled that can lose customers for life or convert them into true advocates. It may surprise you to learn that an unhelpful response is worse than no response at all. Sprout Social explains if a brand does not respond to an initial complaint, consumers often give them the benefit of the doubt, either by posting again on social (18 percent), trying to reach the company through another channel such as email or phone (40 percent), or forgetting about the issue altogether (20 percent). But if a brand does respond to a complaint and does it badly, well, things just don’t go well from there. The percentages of negative customer reactions—sharing the poor experience with others, unfollowing corporate social accounts, and, most significantly, boycotting the brand—all dramatically increase. That’s not good for a business’s reputation and certainly not for its bottom line. 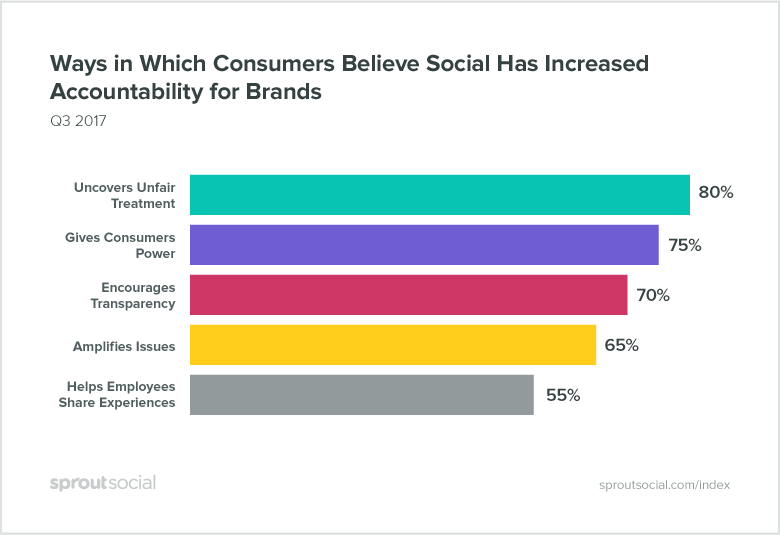 The good news is that brands can minimize detrimental outcomes and win back consumers after a negative social post, provided they make it a priority. As much as we would like it to, great (or even just good) service doesn’t “automagically” happen. Social and customer care teams need effective tools that allow them to monitor for, engage with, and analyze customer interactions. They must also work within a culture of trust that empowers them to resolve issues. With the right infrastructure in place, brands are much more likely to turn even the occasional upset customer into a brand advocate. 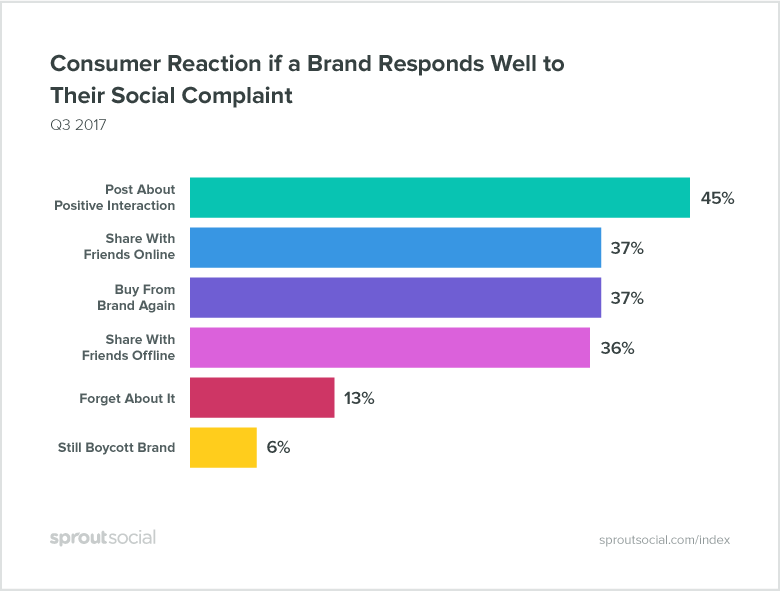 Sprout Social’s research showed if a company responds in a timely and useful manner to a complaint, 45 percent of people will reinforce that positive interaction by posting about it on social, informing their friends about the resolution, and rewarding the brand with future business. 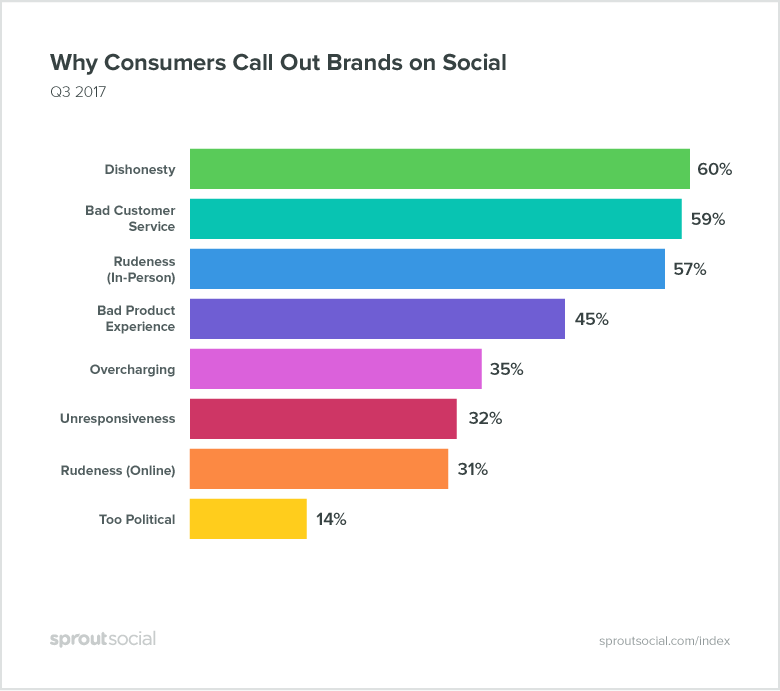 When it comes to call-out culture, Sprout Social says, not all organizations are equally affected. 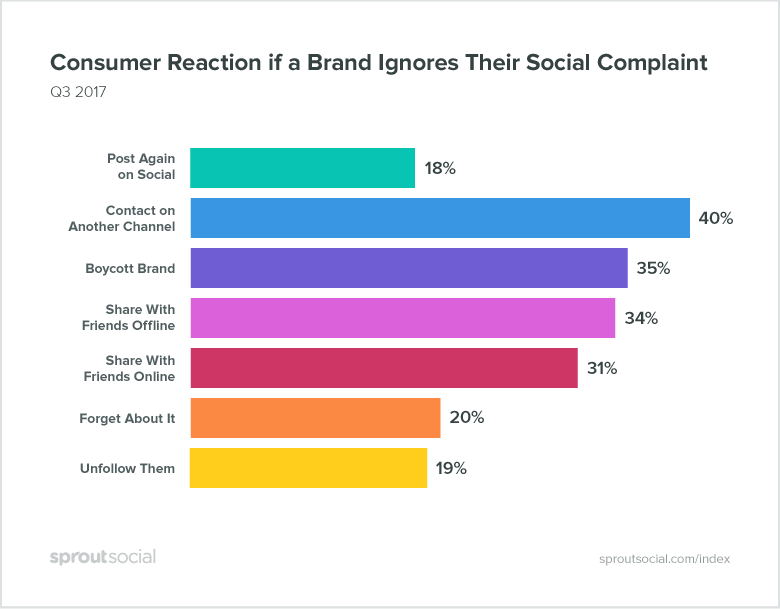 There are specific industries in which consumers are both more likely to complain and brands are less likely to respond. Perhaps due to their significant roles in people’s daily lives, consumer goods, retail, and government generate the most social complaints at 19 percent, 17 percent, and 15 percent respectively. 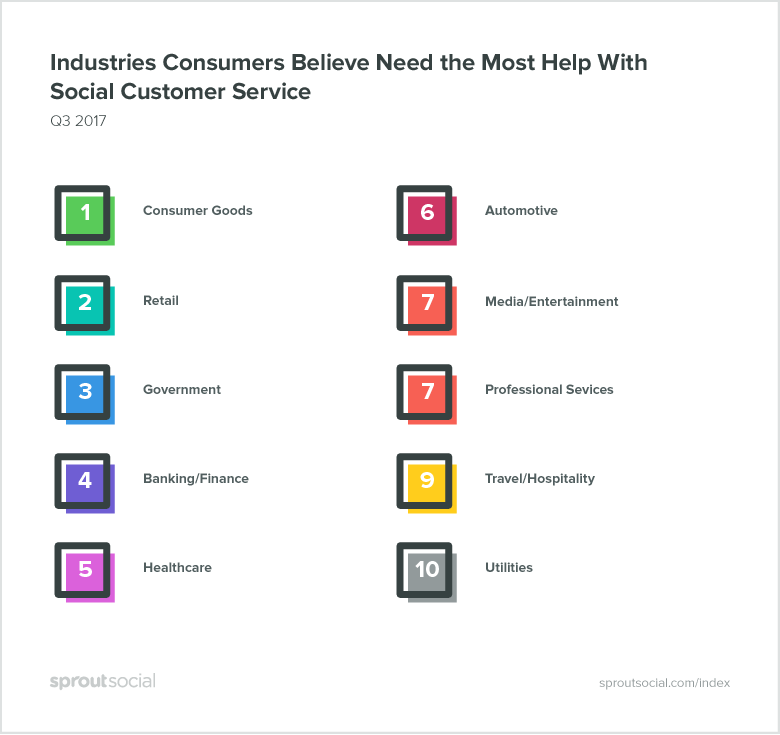 These are also the industries consumers believe need the most help improving their social media service. Also in the top five industries where customers would like to see better engagement are Banking/Finance and Healthcare. To be fair, these specific industries do face unique challenges with regulatory restrictions on social content and responses, but critical consumer issues still need to be addressed promptly and accurately. 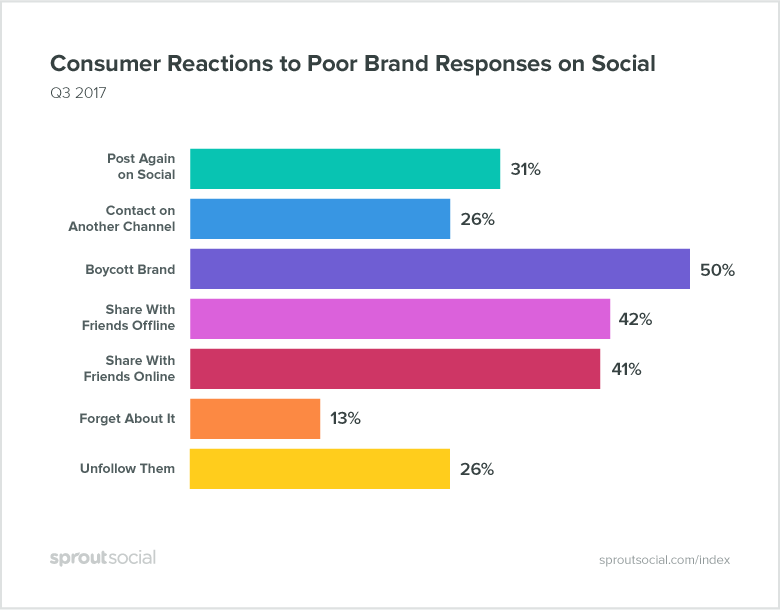 The Q3 2017 Sprout Social Index concluded that today, brands receive 146 percent more social messages needing response than they did three years ago. In the same time frame, the response rate has decreased; on average, brands now respond to only one in 10 social messages. With reputation and dollars at stake, it is evident that companies must take social media customer care more seriously. An investment in effective tools and well-trained, people-centric staff will go a long way toward ongoing success if a business is willing to honor their customers and their experiences. For complete insights, read the entire “Call-Out Culture: People, Brands & the Social Media Power Struggle” report for free (no form-fill necessary!) on the Sprout Social blog. I’ve been on both sides of the customer service screen and continue to learn from others’ experiences. Share one of your social media customer stories, professionally or personally, with me in the comments. Kari (rhymes with "safari") Embree is an experienced social media strategist with a background in website development and copywriting. From her work on brands including Chiquita, Sunkist, and Shari's Berries she brings insight for creating campaigns that foster consumer-brand engagement.